"So we’re looking for them to merely get a foothold in the game to push India’s price up. 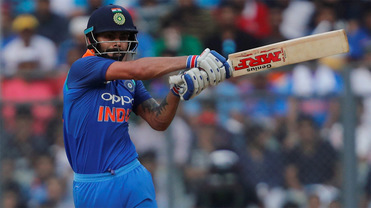 In an ideal they would bat first and go well enough to see India at around [1.7]"
India might not be smarting too much about a surprise 2-0 defeat by Australia in the T20 series. They will argue that both losses were close and could have gone either way. Such is the nature of T20. In 50-overs there can be no excuse, though, and that is why one should expect the hosts to dominate over the course of five games. Simply, India don't lose series at home very often - twice in the last ten years. They are not quite at full strength. Hardik Pandya, who offers important all-round balance, is injured and there is no spot for pacer Bhuv Kumar in the squad for the first two games. But Rohit Sharma, Kuldeep Yadav and Mohammad Shami, who have all had time off at some stage over the last few weeks, are available. Vijay Shankar has impressed with all-round contributions and he will hope to nail down his World Cup place. Likewise Sidd Kaul, although Jasprit Bumrah and Shami are likely to be new-ball partners. India have four spin options - Kuldeep, Yuz Chahal, Kedar Yadav and Ravi Jadeja. Attacking Australia with spin is fine but it doesn't help with regard to prep for the World Cup in England. Australia are in a state of rebuilding just before the World Cup. It is an understatement to say things have gone badly wrong for the holders. It's four wins in the last 22 with no series wins and their last success came way back in January 2017. Their latest series defeat was by India at home, losing 2-1. The major problem has been scoring runs. They are playing a different brand of ODI to the best sides, trying to build carefully with wickets in hand to allow Marcus Stoinis and Glenn Maxwell to unleash an assault at Nos 4 and 5. Aaron Finch and Usman Khawaja, the openers, and Peter Handscomb at No 3 are charged with building that platform. They might have issues with batting depth. Ashton Turner and Alex Carey are learning their trade at this level while Pat Cummins, talented as he is, is a place too high at No 8. The pace department is strong. Cummins, Jason Behrendorff and Jhye Richardson are capable of giving any team the hurry up. India will look to target their fifth and sixth bowlers in Stoinis and Maxwell. There have been five ODI played at the Rajiv Gandhi, spanning 2005 to 2014. The wicket has been good for batters with 300 busted twice first up and Australia posted 290 in 2007. Last time out Sri Lanka managed only 242 and were crushed by six wickets. Scoring speeds have, of course, moved on at a rate of knots in the last five years so it would be fair to reckon the batters would hold sway..
Not Surprisingly, India are warm orders here. They are no better than [1.54] with Australia [2.8]. Given the tourists win rate of 18% in the last two years it is impossible to reckon they are value. So we're looking for them to merely get a foothold in the game to push India's price up. In an ideal they would bat first and go well enough to see India at around [1.7]. And then we can play. India are chasers supreme with 25 wins from their last 32. To hammer home the point about these two sides being oceans apart Australia don't have a strongest suit, although one win in eight chases in the last two years is particularly bad. Virat Kohli has passed fifty 24 times in 43 innings in the last two years and with an average of 89 (not including not outs) he looks a fair favourite at 5/2 for top India bat. But Rohit and Shikhar Dhawan are hardly slouches. They average 66 and 44 respectively. Rohit has a good record against Australia at home, top scoring with 296 in the five-match series. He also managed 185 in the three-game series recently Down Under, pipped by MS Dhoni for honours by eight. Rohit is 13/5. Hawk Eye analyses the top-bowler markets for both teams here. 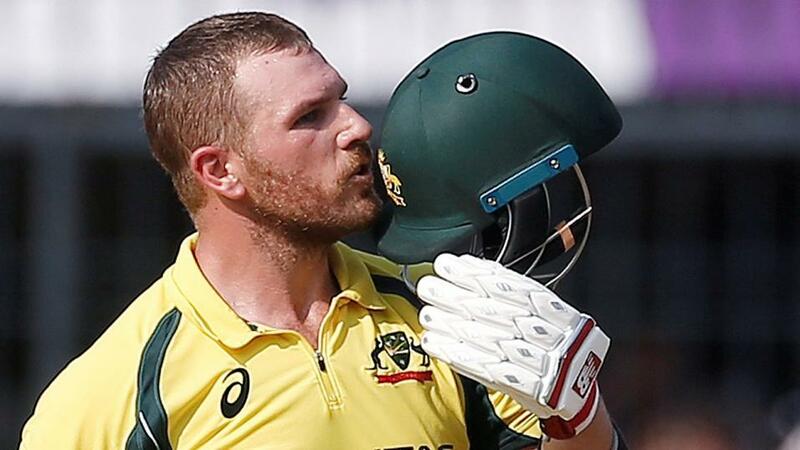 Australia have been reliant on Finch for some time but his lack of form is a concern. He has one fifty in his last 25 international appearances. The 3/1 about him top scoring for Australia is not a huge amount of fun. Stoinis might be at 7/2 and he is building a reliable reputation. Maxwell is the really interesting price, though, at 5s after he proved to be the difference in the T20 series.